Item # 314641 Stash Points: 595 (?) This is the number of points you get in The Zumiez Stash for purchasing this item. Stash points are redeemable for exclusive rewards only available to Zumiez Stash members. To redeem your points check out the rewards catalog on thestash.zumiez.com. 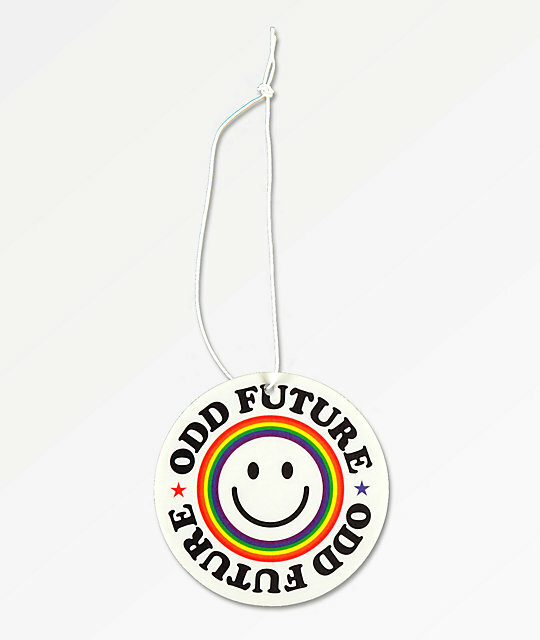 Save your stinky space with the Odd Future Smile Face Air Freshener. This classic look features a smile face at the center surrounded by trippy and colorful graphics, while the fresh laundry scent will tackle even your smelliest spaces. Smile Face Air Freshener from Odd Future.